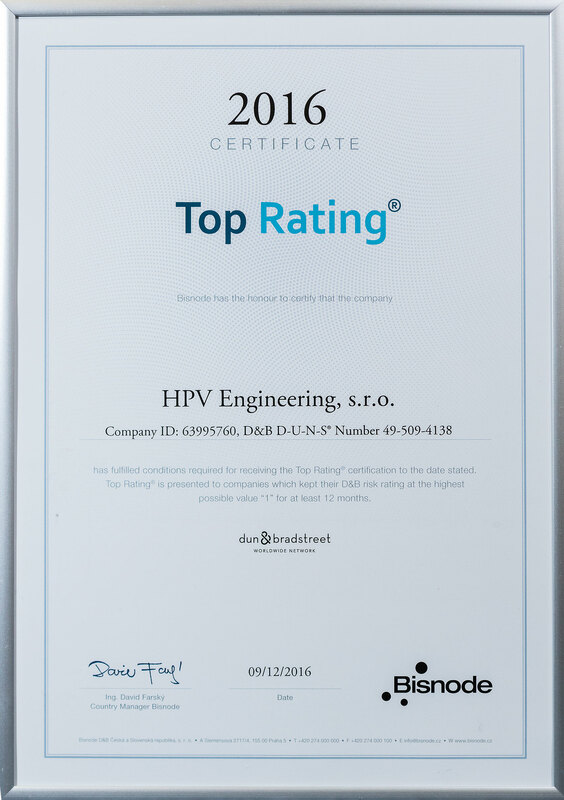 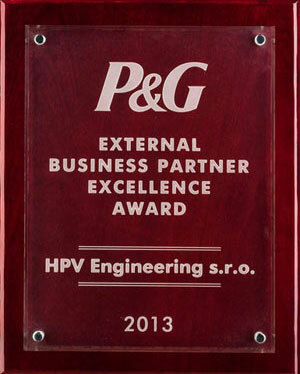 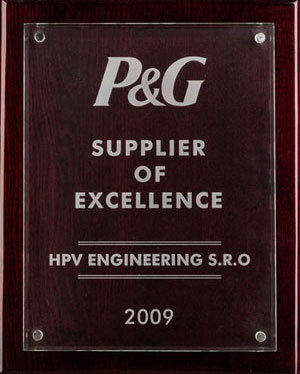 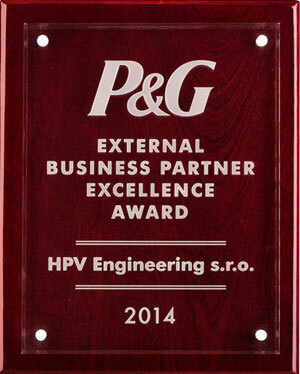 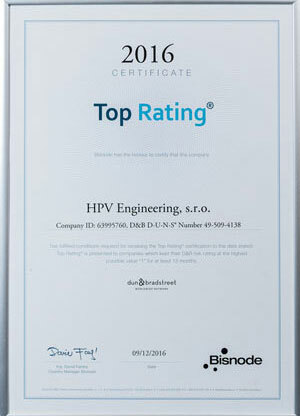 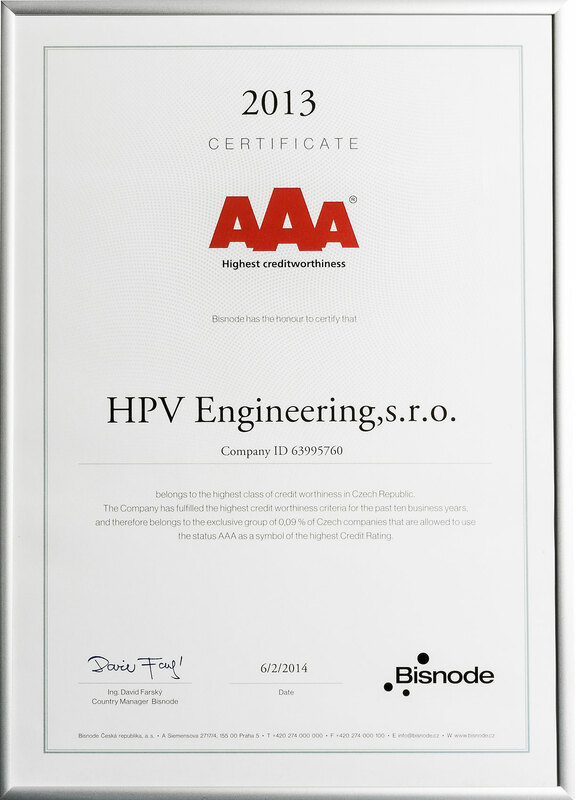 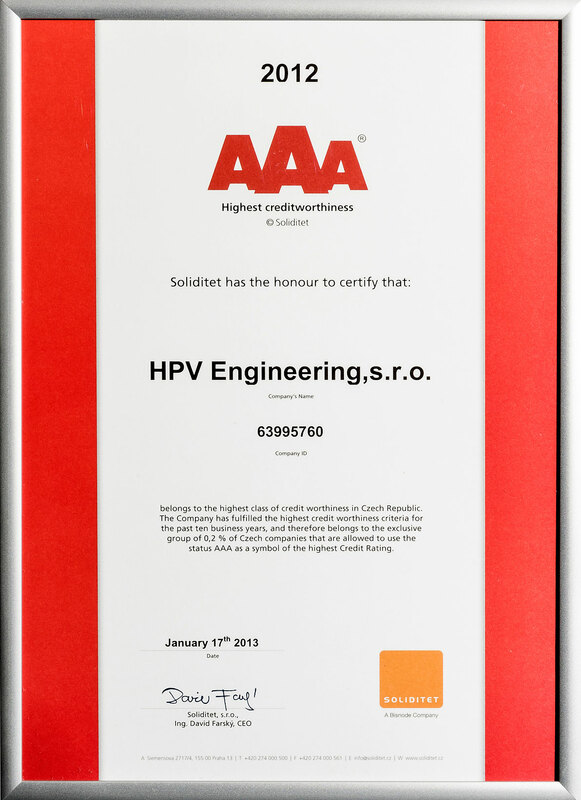 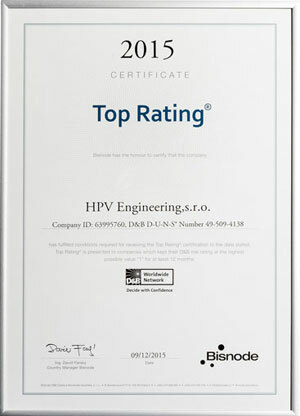 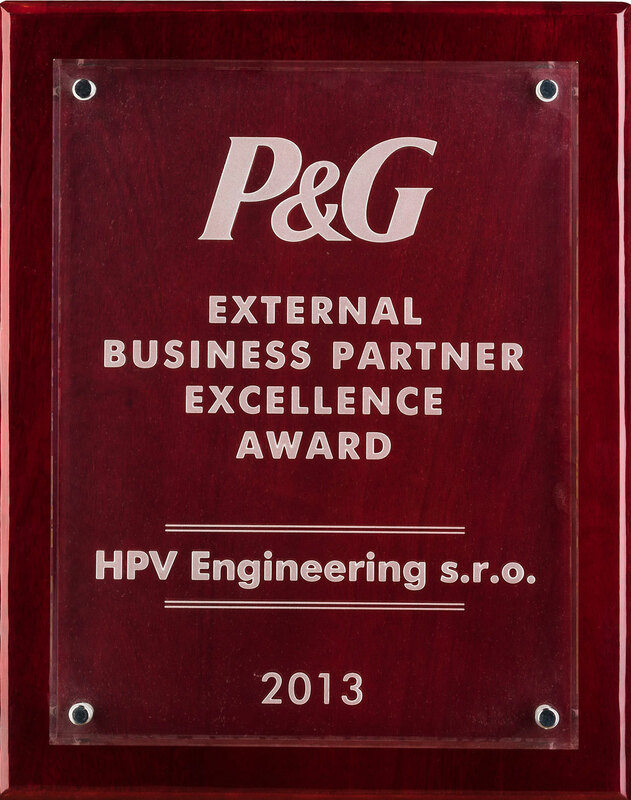 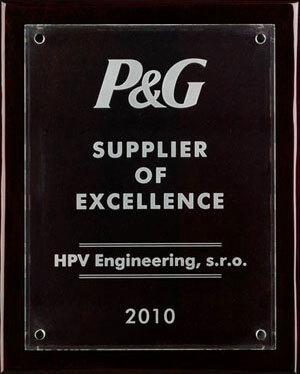 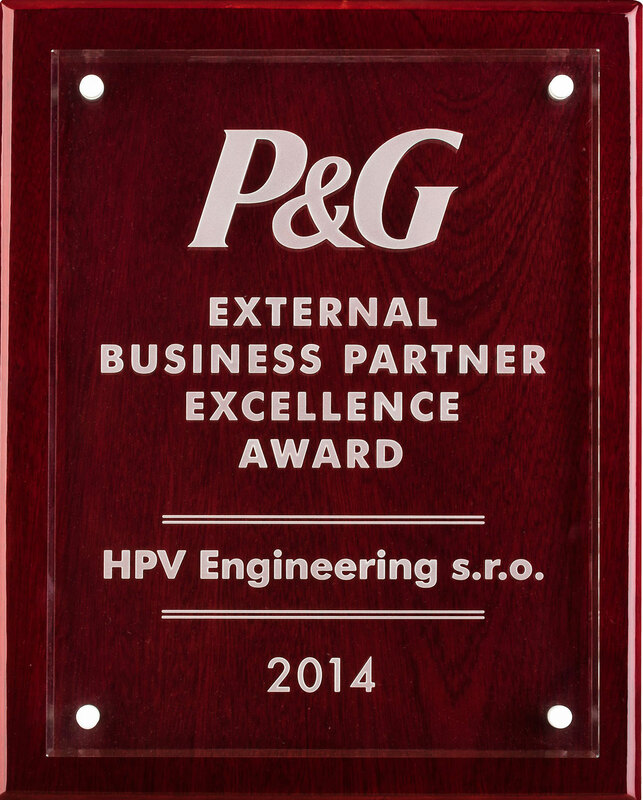 Awards and acknowledgements | HPV Engineering, s.r.o. 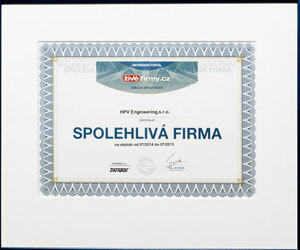 We have received several awards from our customers for our work. 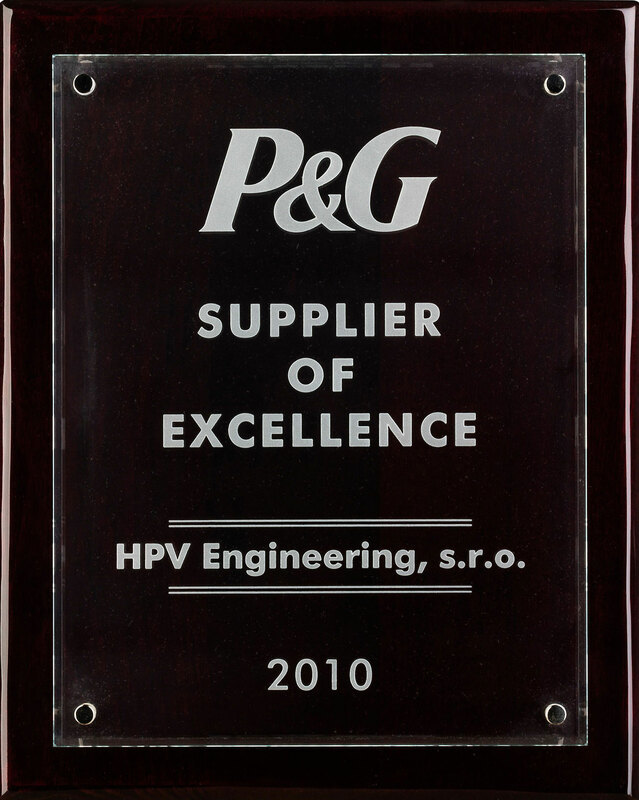 Between 2009 and 2016 we received the P&G Supplier of Excellence prize, awarded to contractual partners at the company’s headquarters in Cincinnati, a total of four times. 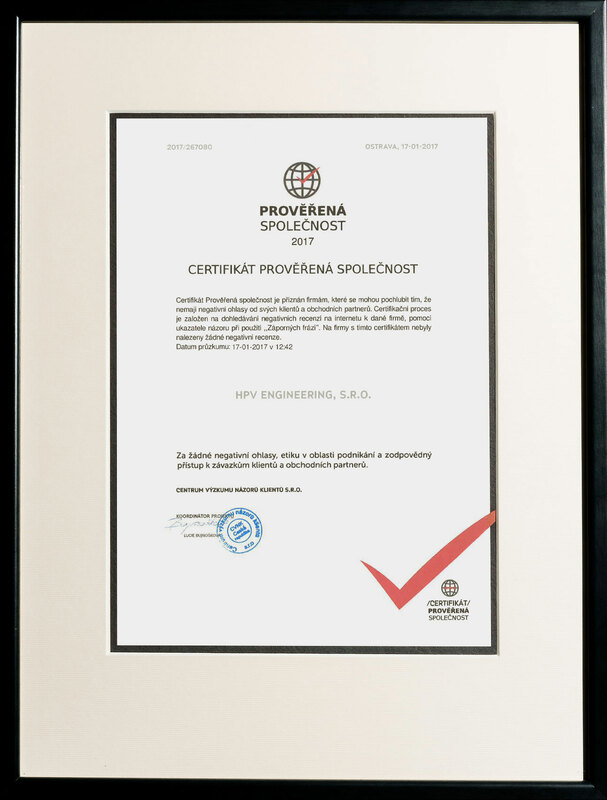 This is a prestigious award for the best suppliers to this international company, which chooses the recipients of this award every year from over thirty thousand of its suppliers. 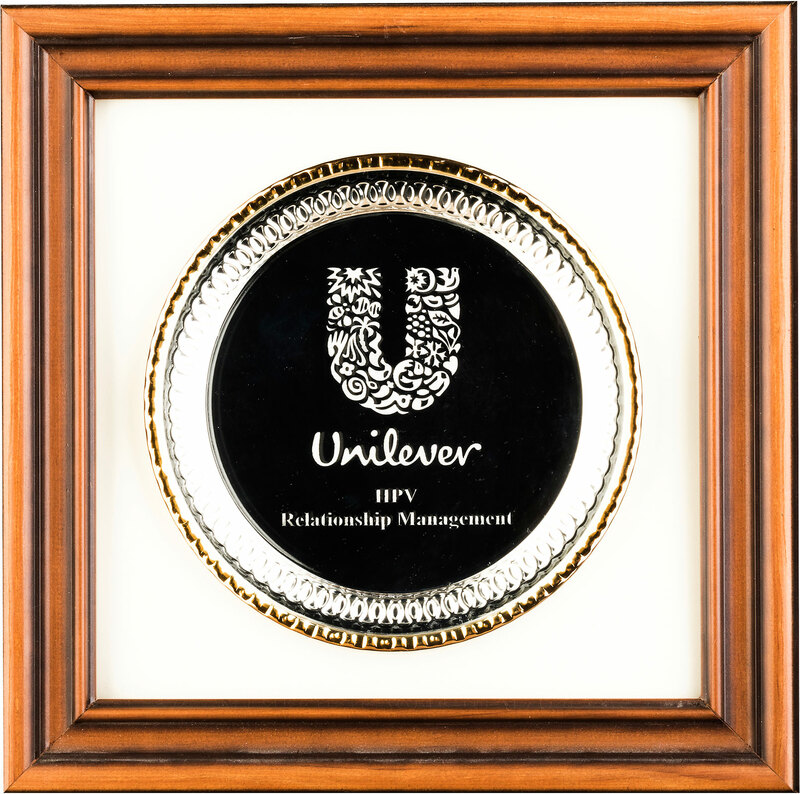 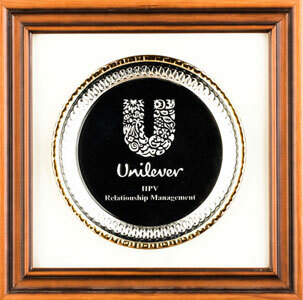 The Unilever Company also noticed our qualities and awarded us for successful management and realisation of its projects. 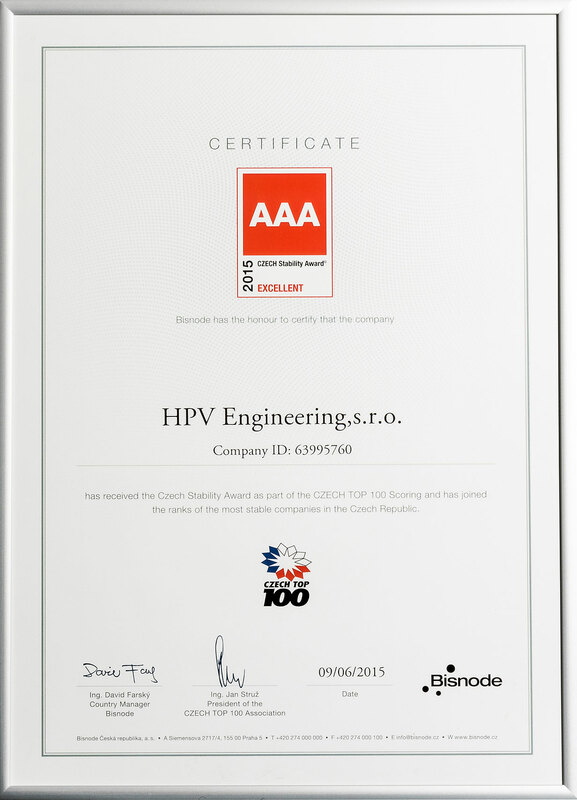 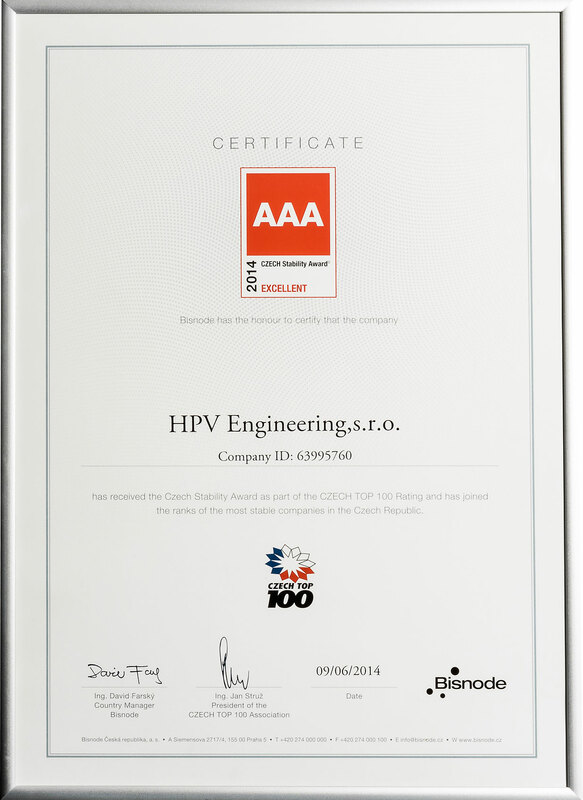 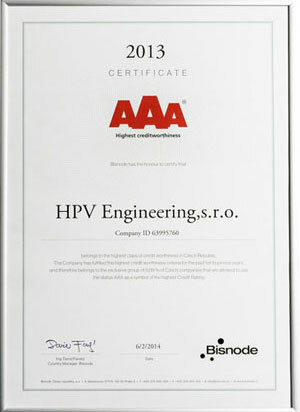 The Bisnode rating company has awarded us the highest possible “AAA” rating together with a top Rating certificate, every year since 2012. 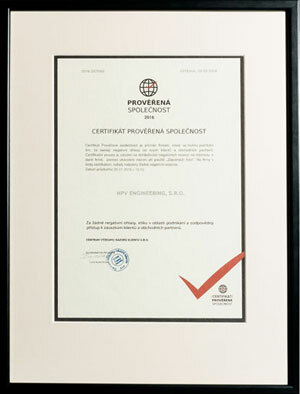 Reliable Company Certificate from the ŽivéFirmy.CZ information portal – every year since 2012. 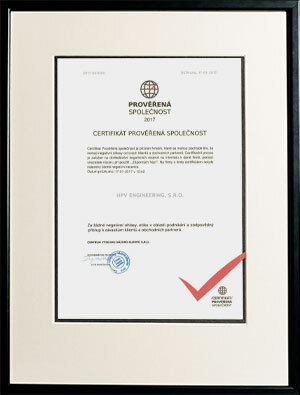 The Centre for Research of Client Opinion awarded us a Certificate for Verified Companies, awarded to companies without negative feedback from its customers and partners. 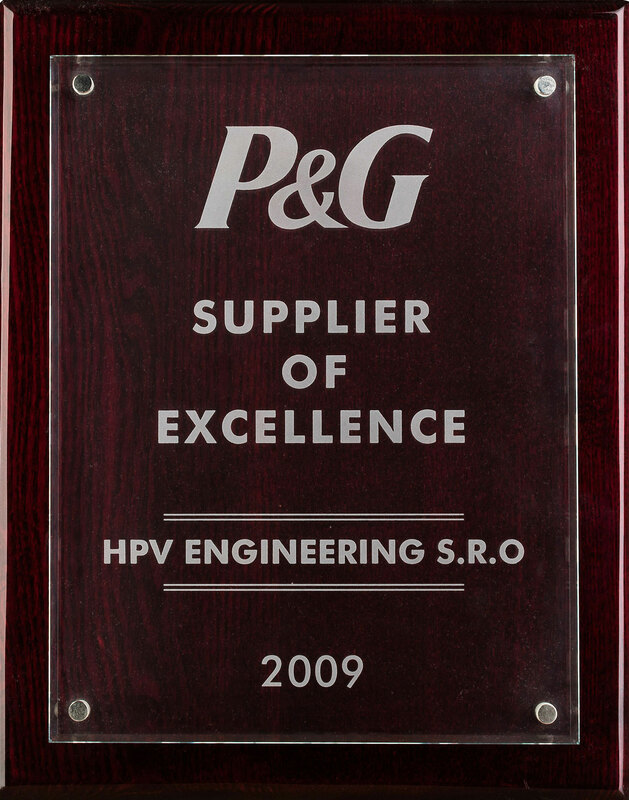 © 2019 HPV Engineering, s.r.o.